Avoid booking your move with a internet based moving broker, most of whom hand your move over to a different company, a company you have not checked and done research on. Make sure that the company you book your move with will be the same company who performs your actual physical move. You should be able to meet or talk to the owner. If you can talk to the owner of the business, even if only by phone, you will be able to develop a feeling of confidence that he is experienced and capable enough to assure a professional move. It is a good idea to get a recommendation. A satisfied customer is the best sales pitch for a mover. Remember, even a mover with a big franchised name is still a local business who is only as good as his local reputation. If you are moving within a state, make sure the mover you are considering is licensed by that state’s Department of Transportation, Public Utilities Commission, or Bureau of Consumer Affairs. A call to your local state association can help determine if a mover is licensed. In the Commonwealth of Massachusetts, local moving companies are regulated by the Massachusetts Department of Telecommunications & Energy (Transportation Division). The MDTE website is http://www.mass.gov/dte/transportation/transportation.htm. If you are moving to a different state, check to make sure the mover is licensed by the Federal Department of Transportation, located at http://www.fmcsa.dot.gov/factsfigs/moving.htm. Don’t take the company’s word for it, call the regulatory agency or state association and check for yourself. Check with the Better Business Bureau regarding constant numerous complaints at http://www.bosbbb.org. Note that a responsible mover may have a few complaints lodged against them — the more moves they handle the more likely it is that they will have at least a few complaints — but their record with the Better Business Bureau should show that they have a satisfactory rating and that they respond to and resolve complaints. Ask your potential mover if they carry Workers’ Compensation Insurance. If you have doubts ask to see “proof of insurance” in the form of an “Insurance Certificate” issued by their insurance carrier. Remember; without Workers Compensation Insurance you will be potentially liable for anyone hurt on your premises. Workers’ Compensation Insurance adds to the cost of doing business but it protects you if someone is injured during your move. Be suspicious of the very low bidder for they may be cutting costs by cheating on essential Workers’ Compensation Insurance protection. Make sure the mover’s place of business actually exists. Beware of companies who provide no business address on their Website, business documents, or a company that is hesitant to provide you with their physical business address. It is important that you know where to track the company down if you have a problem. Don’t listen to sales people who tell stories. A high-quality firm with a good reputation doesn’t need to knock the competition, or criticize other firms to make themselves look better. It’s a good idea to get a recommendation. A satisfied customer is the best sales pitch. Ask if the company is a member of the state moving and storage association in the state in which they are based. Ask if they are a member of the American Moving & Storage Association, located at http://www.promover.org. A reputable company should be a member of one or the other. If you are moving to a different state, read the federally mandated publication, “Your Rights and Responsibilities When You Move”, at http://www.fmcsa.dot.gov/factsfigs/rights.htm. An “Order for Service” signed by your mover. The Order for service protects you by spelling out the agreement between you and your mover regarding the dates the shipment will be loaded and delivered, the estimated cost, and (if you are moving to a different state) the fact that the mover can only collect 110% of the estimate at the time of delivery. 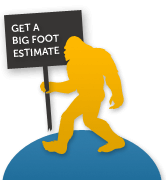 A written estimate itemizing the entire component charges that makes up the estimate for your moving cost. Prior to the move date, insist on an in-home visual inspection of the goods you are moving. Accurate estimates can seldom be provided over the telephone. Never believe that a phone estimate given by a mover, will be the actual cost of your move. A “Table of Measurements” (also known as a “Cube Sheet”) listing all of the items that you will be moving (pieces of furniture, number of boxes, etc.). The mover creates the Table of Measurements in order to calculate the size and weight of your move. Retaining the services of a high quality, licensed mover requires a little work on the part of the consumer, but the reward is great; a high quality move with minimal stress. We urge you to spend a little extra time to assure that you locate one of the many quality minded licensed moving & storage professionals operating in our industry.